Yazd is a city of high wind catchers, bicycles and Qanats. 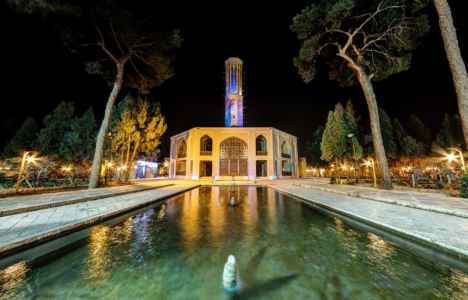 Yazd is also known as "Daralebadeh". 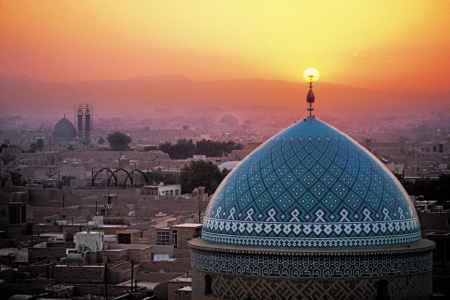 Yazd is one of the mega cities of Iran and it is the capital of Yazd province that located in central part of Iran. 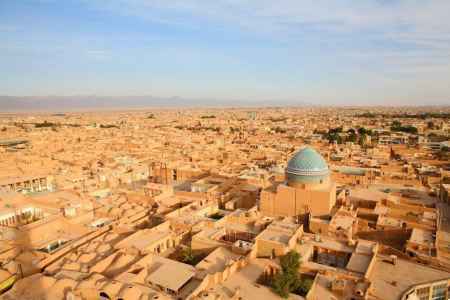 Yazd is the first adobe city in the world and after Venice in Italy, it is the second historical city. These two mentioned features are sufficient for persuading you to travel to this city. Geographically, from the north the city is limited by Meybod and Ardakan, from the east it is limited by Ardakan and Bafq, from the west by Isfahan and from the south by Taft, Ardakan and Mehriz. Since the city is located in desert region, it has dry and hot climate. Yazd can be considered as a two-season city; a long hot season ( from March until September) and a short cold season ( from October until February). Where to stay in Yazd? Staying at a traditional hotel is really desirable when traveling to a historical city. 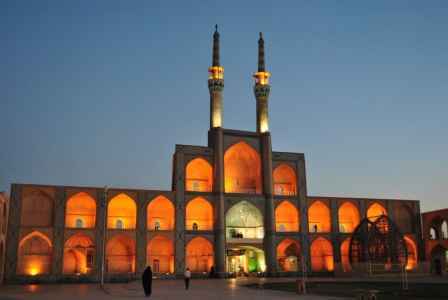 But Yazd like other cities of Iran has modern hotels that you can choose any of them based on your interest. We recommend you to stay at traditional hotels of the city, because staying at such hotels is not possible in any other cities. Fahadan, Safaiyeh, Vali, Mehr,Adib Al- Mamalek and Koroush are the best traditional hotels in Yazd. If you are not interested in staying at traditional hotels, you can stay at modern hotels of the city like Arg, Jahangardi, Zanbagh, and Karevan. You can also stay at local traditional houses in Yazd. Staying at such houses can be a different experience. 33 suites. distance to city center 10 minutes, distance to the airport 5 minutes. Since Yazd is located in dry area, it has long cool and relatively damp winter that caused the people of this city to follow a special eating custom. They eat different kinds of Ash in Summer and sweat foods and pastry in winter. In Yazd, each food has its own meaning and used for special purpose. Ash-e Sholi and Khoresh-e Gheimeh are the most famous food of Yazd and you can eat them in Talar-e Yazd restaurant that is also called " Haji Ashpaz" . Moshir, Khan Dohad, Adib Al-mamalek, Mahoor, Abul Maali, and Malek Al-Tojar are other great traditional restaurants in Yazd that you can go and enjoy eating delicious foods. If you are interested in Italian food you can go Ceasar Italian restaurant where both Italian and Iranian foods are served. You can also eat the best kind of fast food in Zhuan restaurant. Don't forget to try Faloodeh with Chia and Maqut in Yazd. You can eat the best kind of them in Shir Hossein ice cream store that is located in Shehneh crossroad. We recommend you to go Alma cafe, Dowlat Abad garden 's coffee shop and Belenci cafe in Yazd. If you want to drink a cup of tea in a traditional environment, tea house of Khan bath can be good choice for you. What do we buy from Yazd? Yazd like other cities of Iran has both traditional Bazaars and modern shopping centers, but we recommend you as a tourist to go traditional Bazaars, because when you go such Bazaars you can enjoy the great architecture of them as well as buying famous souvenirs of the city that are handicrafts like Termeh, copper dishes, gold and silver. In order to buy gold, silver and Termeh, you can go to Khan Bazaar. khojasteh and Rezaee are the most famous stores of the Bazaar. For buying copper dishes you just need to go to coppersmiths Bazaar which is located in front of Khan Bazaar. Qottab and Baklava are the most popular souvenirs of Yazd that you can buy the best kind of them from Haj Khalifeh store. If you like to go to modern shopping centers, Setareh and Aria malls can be good choices. This ancient cave is near Aghdan Village and is one of the Zoroastrians' sacred caves. It is hard to enter the cave due to the form of the entrance but when you pass the entrance you face a vast area that has the capacity to hold thousands of people. Meybod Chapar Khaneh dates back to the Achaemenid Era. This place was where they exchanged letters, just like a post office. This old ice house dates back to the Qajar Era. Meybod Ice House is one of the few remaining ice houses located in Yazd Province which is made of adobe and mud. This ice house is comprised of walls that are high, a small pool with frozen water, a reservoir and a dome. Fahraj Village is 25 km away from the South-East of Yazd and is on the road connecting Yazd to Bafgh. The attractions of this village are an ancient castle, an old water reservoir, a central mosque and martyrs cemetery. 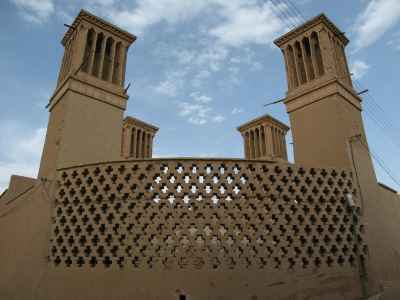 Narin Castle which is also known as Narenj Castle is one of the most important monuments in Yazd, built before Islam. This old castle is built on top of a hill and the whole town could be viewed there. This castle was built with adobe and mud, and is stratified. This house dates back to the Qajar era, in the Fahadan district in yazd. The structure of this house was inspired by the overall style of a house built during the same time. The Lari House consists of two separate parts, an interior and an exterior part and a central yard. Ziaiyeh School, also known as Alexander Prison, is the work of Molana Ziya al-Din Hossein Razi. The construction of this school started in 631 AH and it continued by his sons and the construction ended in 705 AH. Mohammad Taqi Khan was a great Khan during the Zand Dynasty and he was the ruler of Khans in Yazd. Mohammad Taqi Khan first made an aqueduct in the name of Dolat Abad. Then along the aqueduct he made a mansion in the middle of a garden and called it Dolat Abad Garden. Amir Jalal al-Din Chakhmaq Shami lived during the Timurid dynasty and was announced the ruler of Yazd by king Shahrukh of Timurid. 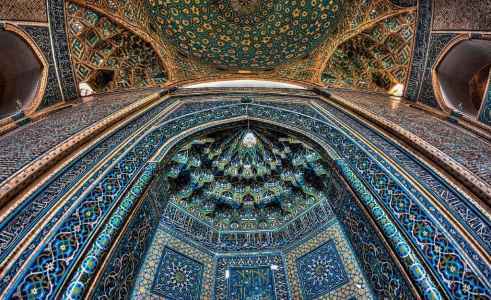 With the help of his wife, Fatemeh Khatun, Chakhmaq was able to build a square, a reservoir, a monastery, a school, a caravanserai, a water well, a bazaar and most importantly a mosque in Yazd. The current Varharam fire temple was established in 1935 with the help and financial assistance of Zoroastrians of Yazd and the corps of India. The beautiful Varharam Fire Temple was inspired by the beautiful architecture of the Achaemenid Era.